The mission of Grace Christian Academy is to prepare students for success in High School, College, and Beyond, raising them up to be future Christian leaders for service to God and their community. We believe that every child deserves a quality Christian education. Grace is the place where leaders are developed who make an impact on the community. We believe that every child deserves success in high school. More than 1/3 of Chicago students don’t graduate from high school. 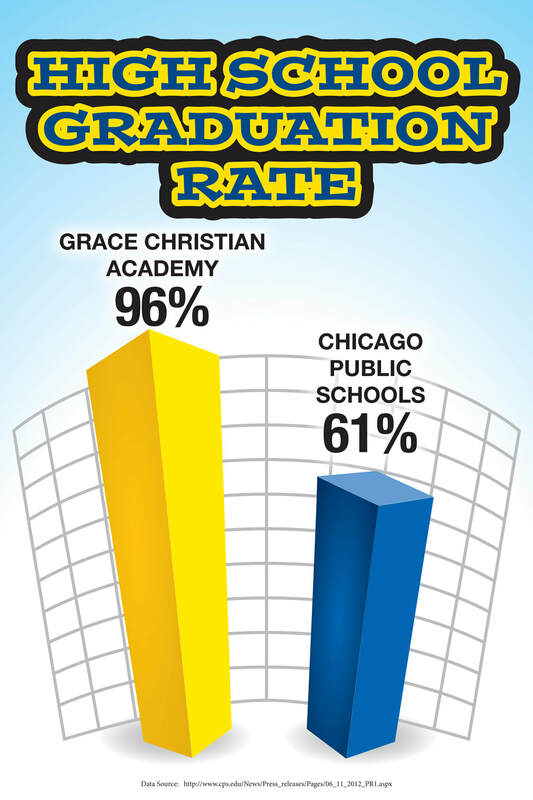 96% of Grace Christian alumni go on to graduate from high school. We believe that the growing Latino population in the U.S. has increased the need to develop Latino Christian leaders through quality education.